Chef Trevor Bird likes to think outside the box! 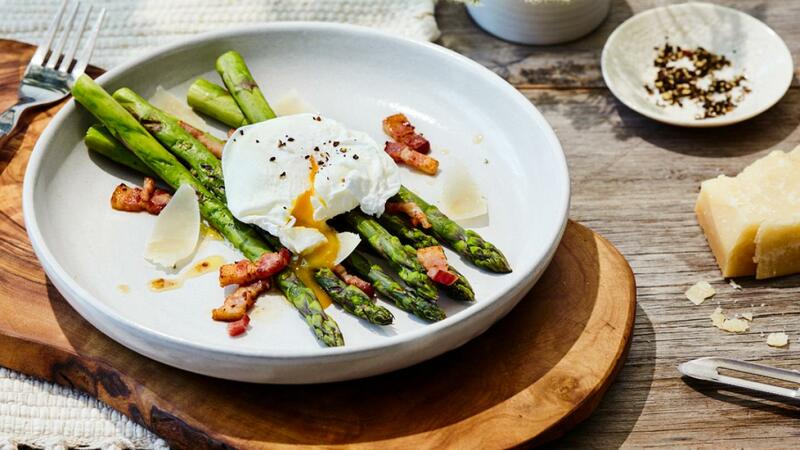 This recipe is not only delicious but offers such a refreshing way to serve poached eggs. We bet you will ask for more. Stir boiling water and turn off heat. 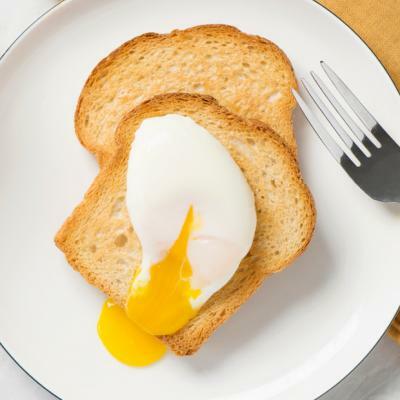 Gently drop eggs in water and let sit for 3-5 minutes until whites are set. Remove with a slotted spoon and place on a paper towel to dry. Turn a grill or broiler on high heat; toss asparagus with oil and season with salt. 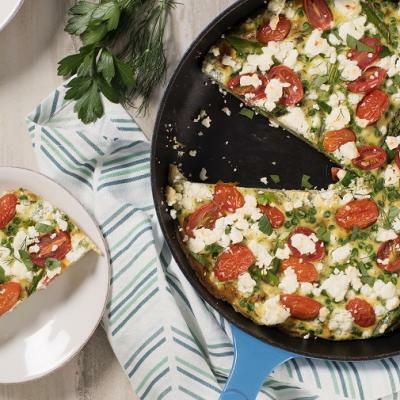 Cook on grill or under the broiler for 2-3 minutes. Remove and set aside. For the bacon vinaigrette whisk together olive oil, grape seed oil, maple syrup, sherry vinegar, Dijon, salt and pepper. Add crispy bacon at the end. 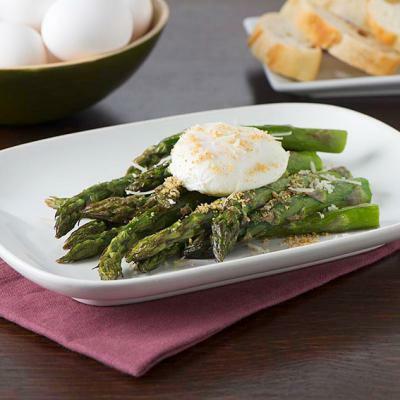 Place grilled asparagus down, place poached egg on top, and spoon over vinaigrette. Finish with fresh parmesan cheese.